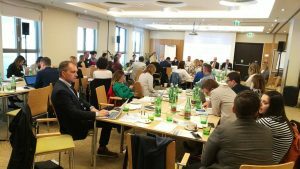 Representatives of regional think tanks and activist organizations gathered on April 26 and 27 in Vienna, as part of preparation of the 2018 Western Balkans Summit in London. 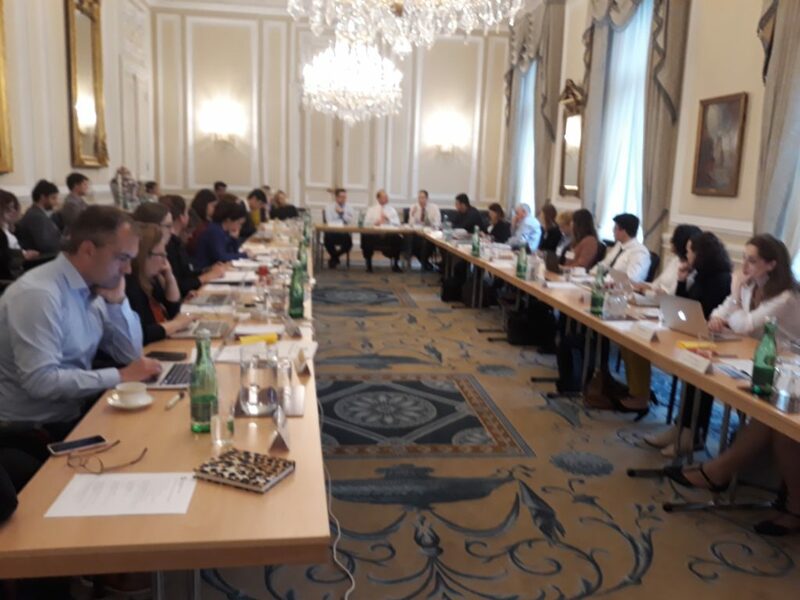 During two days of intensive meetings and workshops, the regional civil society had an opportunity to influence the London Summit agenda and decisions that will be brought by the Western Balkans and the European officials at the July meeting. On the first day, the Western Balkan civil society representatives met with the officials of the Foreign and Commonwealth Office of the Government of the United Kingdom. The aim of the meeting was to elaborate on the policy briefs that the Civil Society Forum had prepared in accordance with the topics of the London Summit: Regional Cooperation in the Western Balkans, Gender Issues in the Western Balkans, Legacy Issues in the Western Balkans, Economic Stability Issues in the Western Balkans, and Security Issues in the Western Balkans (this policy brief will be available by May 4). These documents will become an integral part of the working materials of the Summit and thus a means of influencing decisions that will be made. The Civil Society Working Groups meeting took place on April 27. Over fifty representatives of the Western Balkan civil society gathered in order to discuss the CSF policy briefs and, based on them, to formulate recommendations* on the topics of the London Summit. These recommendations will be widely distributed to decision-makers taking part in the London Summit, as an effort of the regional civil society to represent the interest of the Balkan citizens and shape the policies of regional importance. This meeting was also an opportunity for ideation discussion on the future of the Berlin Process and the Civil Society Forum.